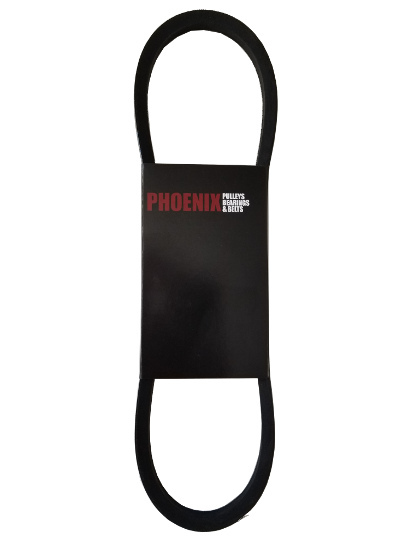 This Phoenix 5L Type V-belt is a general purpose Fractional Horsepower (FHP) neoprene belt for use with V-belt pulleys. Standard Shipping is FREE!! No Minimum Order. We also offer UPS Ground, UPS 2nd Day Air and UPS Next Day Air. Those options will be quoted based on the order weight and delivery address at checkout. 1-4 business days after placing your order when you select "Free Shipping" or "Standard Shipping", and for most locations it will only take 2-3 business days. Need expedited or guaranteed delivery? Select from UPS Ground, UPS 2-Day or UPS Next Day Air. For more information on processing and transit times, see below. Items that are noted: "Typically ships within 3 business days". If you have any questions on item availability please give us a call or email us and we can provide you with more information or ETAs on product that is out of stock. Free Shipping transit time is 1-3 business days anywhere in the US and items are typically shipped via the US Postal Service. Expedited 2-day and Next Day Air via UPS is also available. Need help or have questions? Please call or email us at 1-800-776-9315 or sales@phoenix-mfg.com! Belt length: Belt lengths as noted in the product name corresponds to the measurement from around the outside of the belt (this is how L belts are measured). However, A and B type belts are typically measured using the inside. Review the Item description for the A or B type belt measurement. Belt Type: The type of belt. Belts with “L” in the name are for fractional horsepower only. Belt Width: The width of the belt used. V-belts take this measurement from the widest point of the trapezoid. Material: Describes what the product is made from. Copyright Phoenix Distribution. All Rights Reserved. powered by 3DCart Web Store.